Jacob Jonathan Blevins was born 12 February 1825 to John and Elizabeth Ryan Blevins. 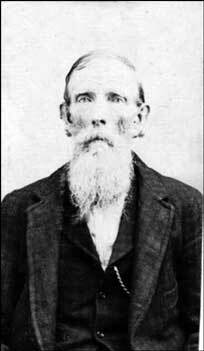 He married Mary Ann Davis in Morgan Co., AL on 8 May 1849. After the war, he moved to Effinghan Co., IL and on to Arkansas. Mary Ann died 9 October 1878, and Jacob died 3 February 1901 in Scott Co., AR. He is buried in Cedar Grove Cemetery in Scott Co., AR. Picture submitted by Artela Tyler.